The latest craze among pet owners in China is to dye their pets to look like other animals. 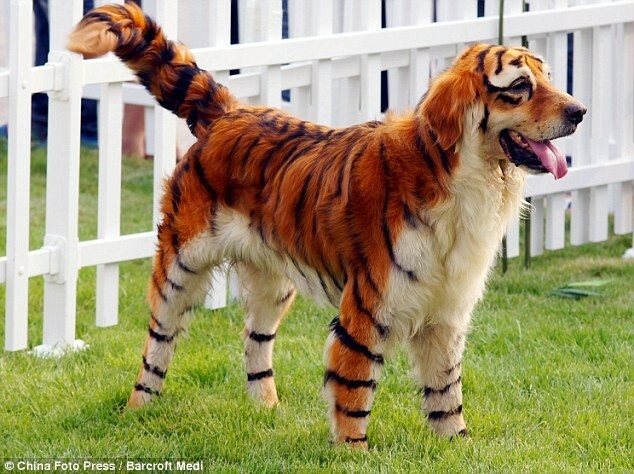 This dog with its triped orange and black coat makes it look like a particularly odd tiger. 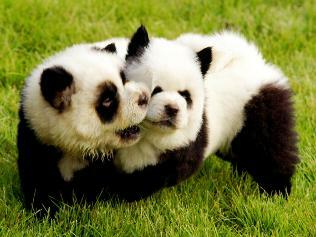 This young pup even found itself turned black and white to masquerade as a baby panda.